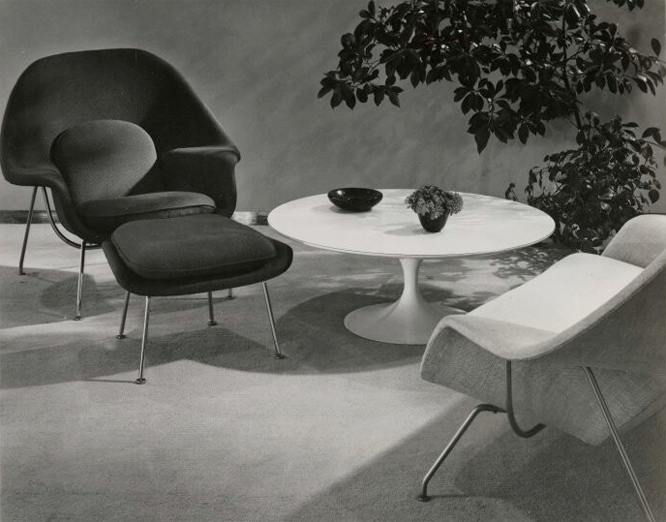 The Yale University online-archives contains many great images relating to the prolific career of Finnish-American architect and designer Eero Saarinen (1910-1961). 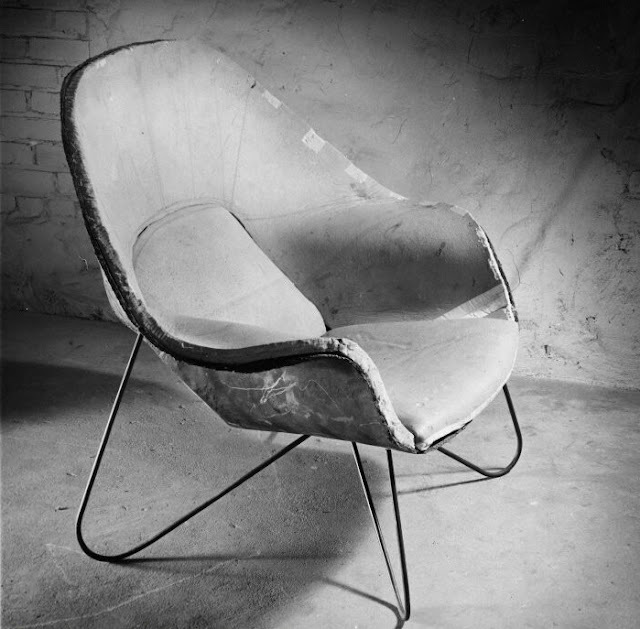 Their collection contains items from his career both as an architect and industrial designer. 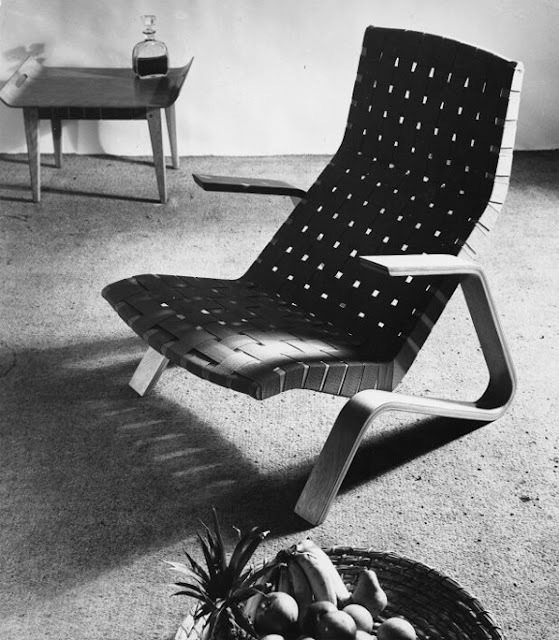 Below is a selection of images relating to his work with Knoll. 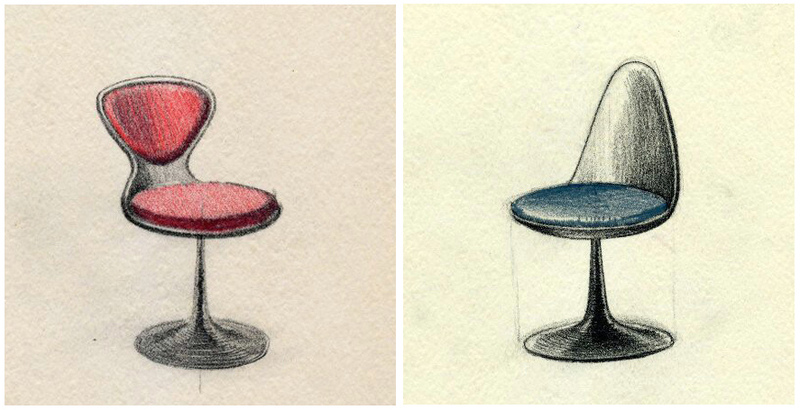 Various models created during the design development stages of the "Tulip" Pedestal Chairs. 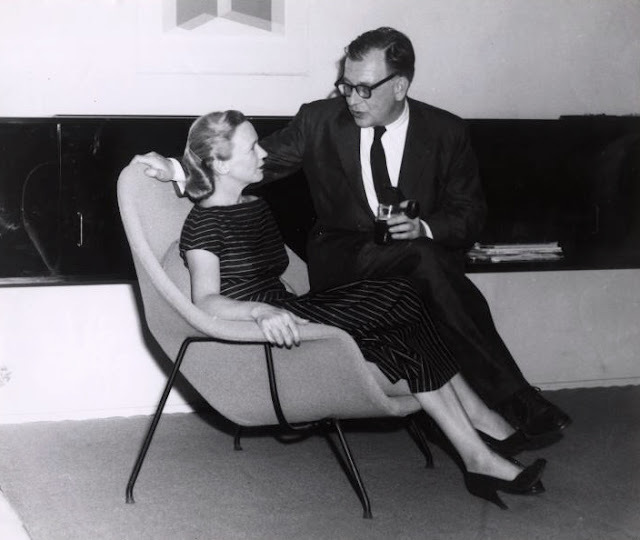 Design meeting between Florence Knoll and Saarinen. 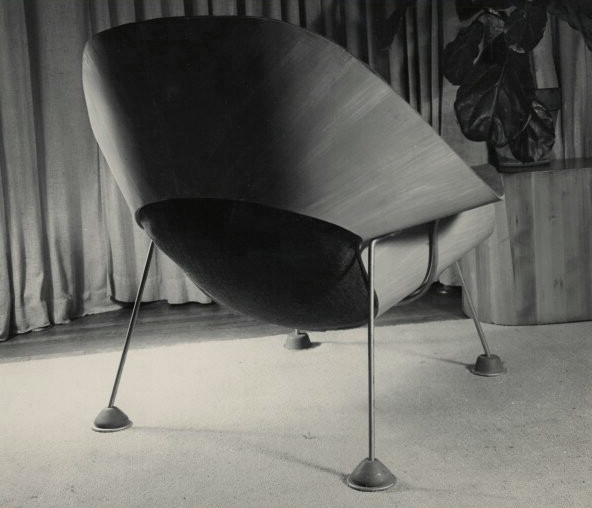 Early prototype of the Pedestal Chair. 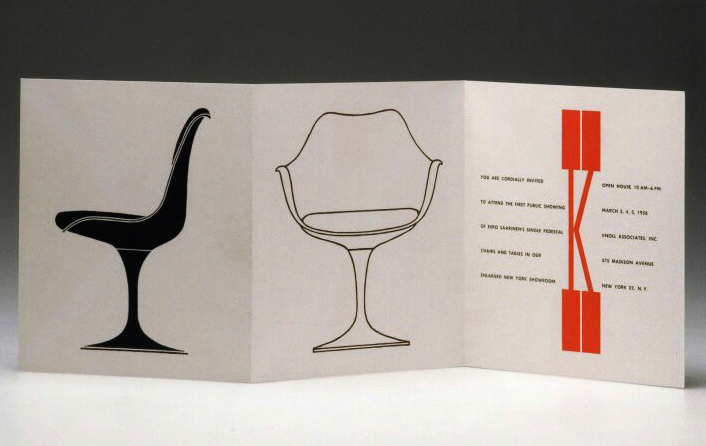 Knoll's official invite to the first public showing of Saarinen's Pedestal Group in March 1958. 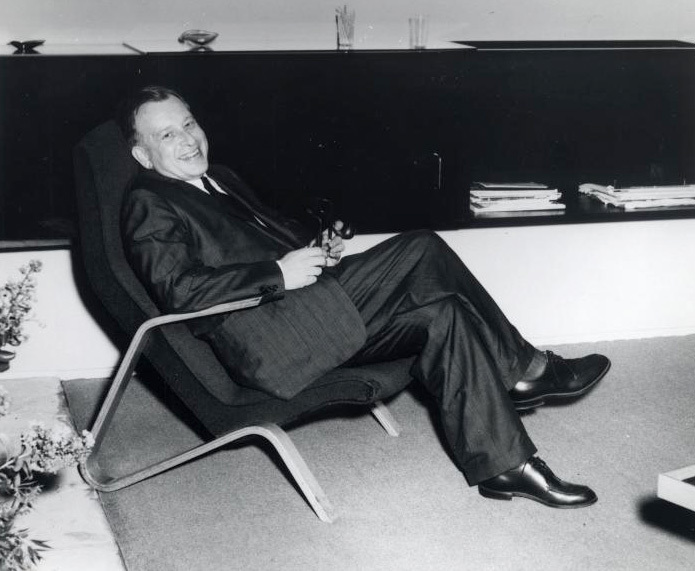 Saarinen relaxing in his Grasshopper Chair, Model No 61U; the first piece he designed for Knoll. 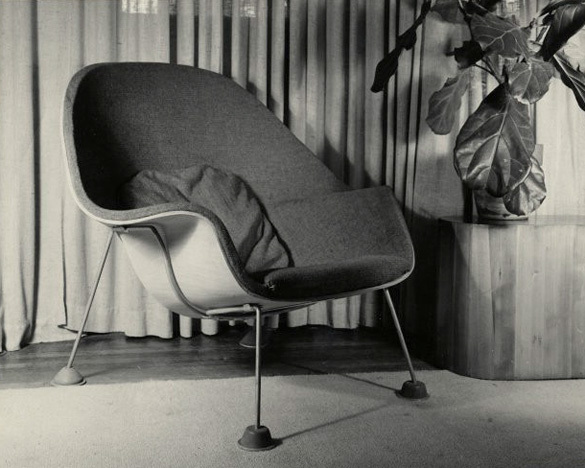 Charles Eames and Eero Saarinen (pictured above) took first prize for their "Organic Chair," which they designed for the "Organic Design in Home Furnishings" competition held by MOMA of New York in 1940. 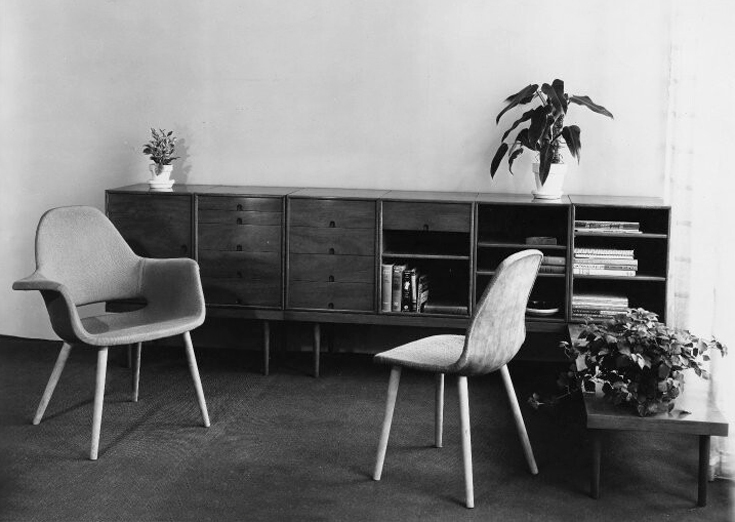 Award winning Organic Chair (left) on display at the MOMA, 1941-42. 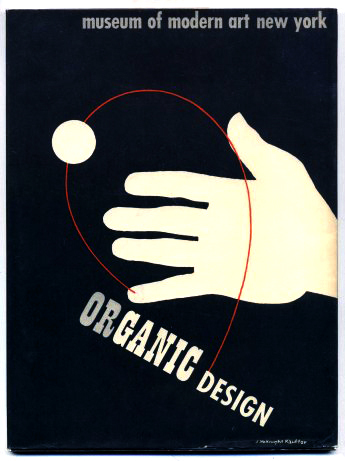 Organic Design in Home Furnishings exhibition book cover, 1941. 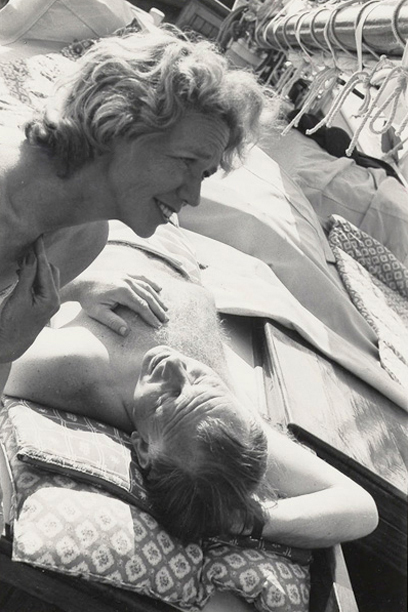 Aline and Eero Saarinen relax while sailing, c. 1954-57. via Archives of American Art. 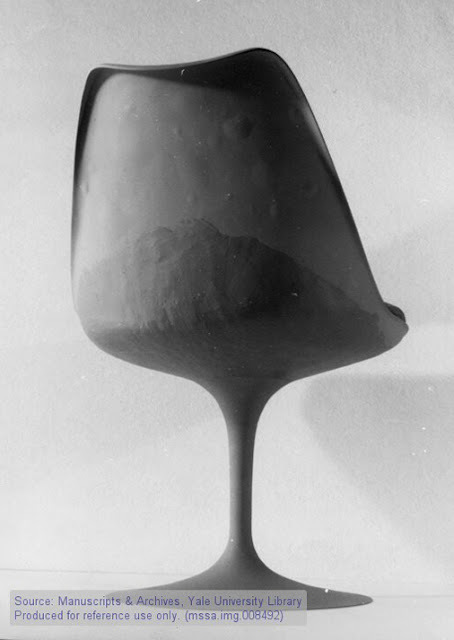 Death: September 1, 1961 in Ann Arbor, Michigan. He was 51 years old. Education: Studied furniture and sculpture at Cranbrook Academy of Art, Michigan. 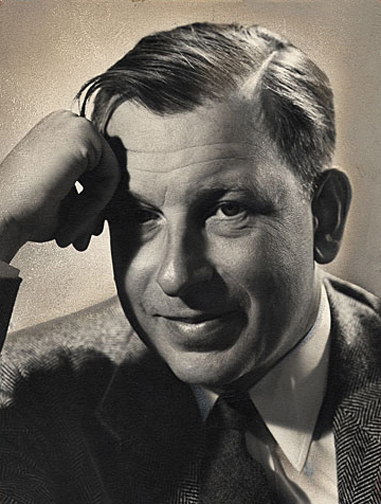 Graduated from Yale School of Architecture in 1934. Eero took first place in a matchstick design contest at the age of 12; a sign of things to come. During WWII, Saarinen created illustrations for bomb disassembly manuals and provide designs for the White House's Situation Room. He designed a hockey rink for Yale University known as Ignalls Rink (1953), nicknamed the "Yale Whale" due to its shape. This is a great building and is worth a look! 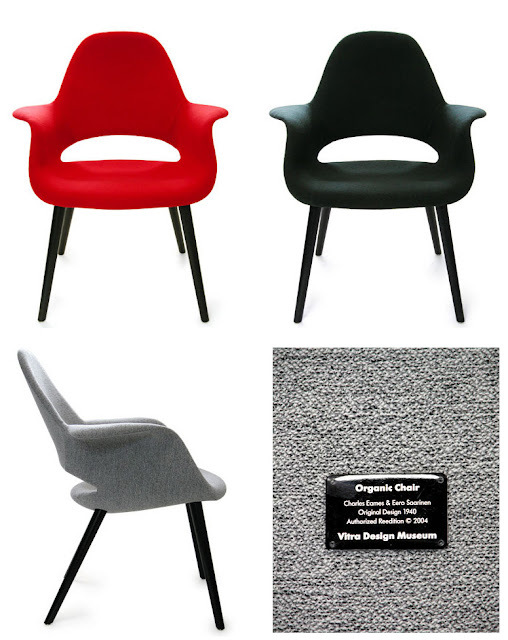 The Tulip Chairs were used on the "bridge" of the original 1960's Star Trek television show. 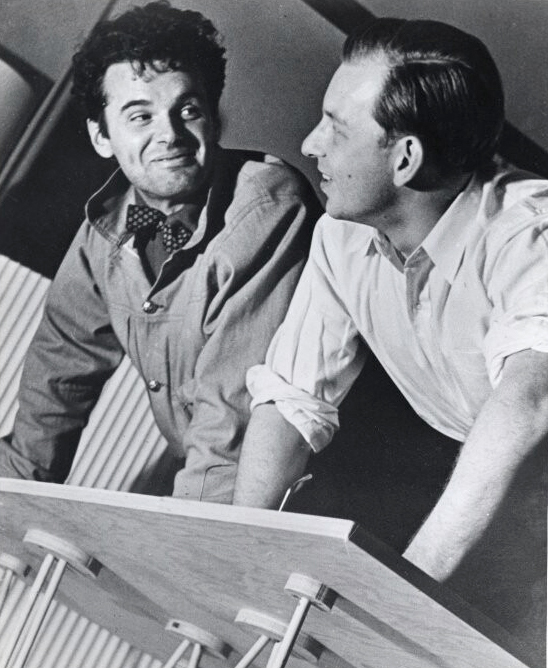 He was still working for his father in 1948, when he took first prize in the competition for the design of the Jefferson National Expansion Memorial, St. Louis. 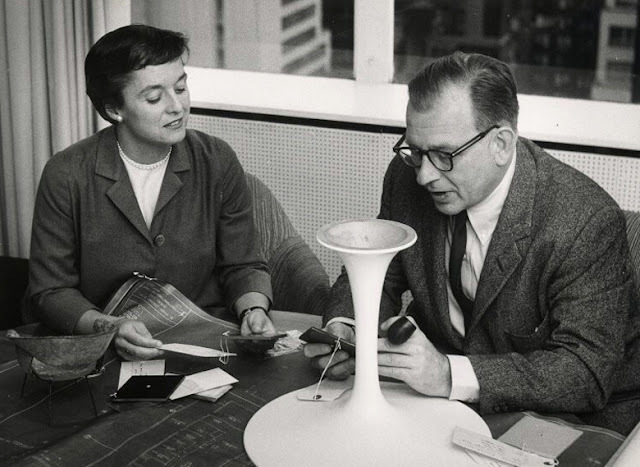 Saarinen died while undergoing an operation for a brain tumor. Strangely his wife Aline also died from a brain tumor at age 58! Go to- Yale University archives; search results for "Saarinen furniture"